Tales from Old Ireland in an enchanting collection of favourite Irish folk tales, retold by Malachy Doyle and illustrated by Niamh Sharkey. You can celebrate the wonder of Ireland with this collection of 7 entertaining stories, including the famous legend of the bewitched Children of Lir. 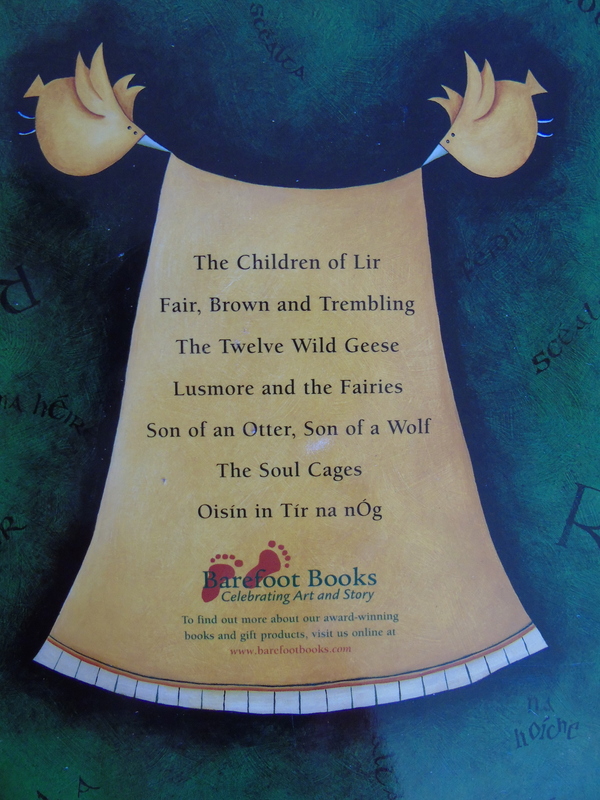 The book comes with 2 storytime cd’s with these captivating stories read by Grammy-nominated singer Maura O’Connell. This book suitable for kids (ages 6 and up) has received many awards: Anna Izard Storytellers’ Choice Award Winner and Parents’ Choice Gold Award Winner, among others. Belfast-born Malachy Doyle now lives on a tiny island off the north west of Ireland. He has chosen several of the brightest jewels of traditional Irish storytelling – one of the richest in the world – and polished them to a new brilliance with his lively use of language. Larger-than-life characters, dramatic landscapes and a multitude of magical happenings will transport you and your kids to another world. Niamh Sharkey’s intense palette and quirky characters make a perfect match for the richness of the stories, creating a stunning combination. There is a pronunciation guide in the front for Irish names and words, which is really helpful, and a great reference page at the end that explains the origins of each story. 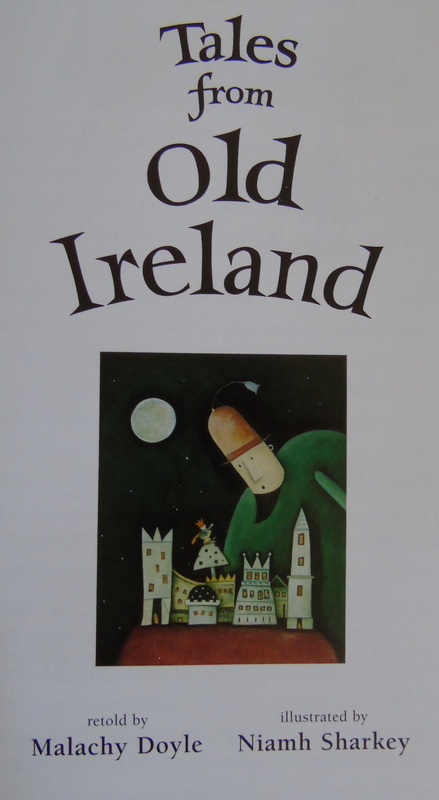 It is a great book for anyone interested in Irish culture, and a fun book to read for older children and adults, but perhaps the content of one or two of the stories (with unresolved tragedy) might be a little bit intense for younger children.